Smith is accused of fatally shooting his mother, Tamika Robinson of Detroit, over a fight stemming from her telling the teen not to bring girls home or hang out with boys she regarded as thugs. On Feb. 27, Smith broke into a home office, where Robinson?? ?s fianc?? kept his gun, and shot her in the middle of the night, police said. He later pleaded guilty to second-degree murder. Smith apologized in letters he wrote from jail,? ?his grandmother said, claiming he was tired of seeing his mother suffer from debilitating bouts of the effects of lupus as well as kidney failure. Read the full story:? ?Family offers forgiveness to Detroit boy, 14, sentenced in mother’s shooting. For example, in one of Dr. McNulty’s studies of newlywed couples, “He found that the day after forgiving a partner, people were 6.5 times more likely to report that the partner had again done something negative, compared with when there was no forgiveness.” A similar finding was reported in another study that examined these outcomes over a six month period. Forgiving partners were the recipient of continued transgressions. Yet, the critical question is this: Is forgiveness the culprit here? The conclusions reached in the article have at least one major philosophical flaw and one major psychological flaw worth noting. 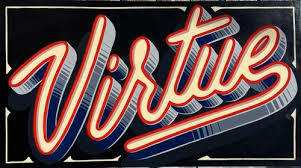 First, the philosophical flaw is this: We have known for at least 3,500 years that we are not to practice any one virtue in isolation of the other virtues. Aristotle taught us that. Otherwise, for example, a courageous non-swimmer who practices only courage and not wisdom might jump into a raging river to save a drowning dog, only to lose his own life. It is the same with forgiveness. It must not be practiced in isolation from justice, otherwise other people will take advantage of us. This is not the fault of forgiveness itself. It is the fault of the one appropriating it in isolation from justice. word correctly. It is an assumption that should not have been made.Researchers Freedman and Chang in 2010 did a study in which they found that most people misunderstand what forgiveness is, equating it with letting a transgression go or “moving on.” Philosophers and psychologists who make the study of forgiveness their life’s work will tell us that these are misconceptions because “letting go” and “moving on” are not virtues. 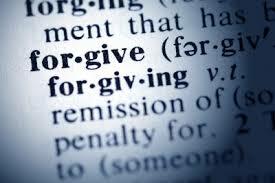 Instead, forgiveness is offering goodness to another in spite of what he or she has done. Forgiveness then comes alongside justice, which asks something of the transgressor. To avoid any misunderstanding of what forgiveness is, I suggest using the definition I developed from more than 25 years of forgiveness research: Forgiveness Defined. Forgiveness need not get a black eye from Dr. McNulty’s research when we realize that participants can misunderstand and therefore misappropriate this virtue. If anything, his research calls for careful forgiveness education for anyone who wishes to practice the virtue of forgiveness in important situations with important people in their lives. For the past four years, The Corrymeela Community, in partnership with The International Forgiveness Institute, has facilitated a cross-community Forgiveness Education Schools Programme in Northern Ireland. The Shared Learning Programme with Forgiveness Education brings together children from across the sectarian divide to participate in activities such as story telling, art, discussion and other activities. Through this programme children are taught about the virtue of Forgiveness which encourages them to view “the other” through kind, generous and forgiving eyes. 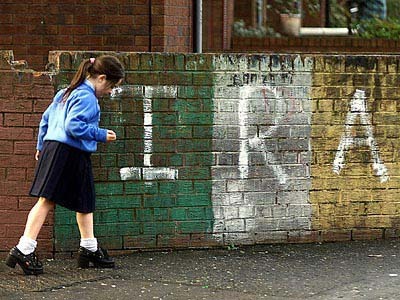 In Northern Ireland, where communities are quite often separated because of political allegiances and faith traditions, most children are educated in separate schools with their families mostly living in separate areas. By bringing children together through Shared Learning, we are able to encourage them to see that all people, no matter where they live or what they believe, are valuable and have deep worth. By “relationship,” do you mean a romantic relationship between two people? If so, please consider the Experiences in Close Relationship Scale. A 2007 peer-reviewed? ?article from the Journal of Personality Assessment,? ?has the items of that scale in it. We wish you the best in your research. Has research suggested (or ruled out) any link between unforgiveness and Alzheimers? To date, there is no study showing a link between unforgiveness and Alzheimers, but there are indications that this could be the case in an indirect sense. Consider this article, “The Healing Power of Forgiveness,” written by a board-certified psychiatrist and neurologist, from the Fortanasce-Barton Neurology Center in California. So, your intuition of a link between unforgiveness (agitation, anger) and brain function has merit as a hypothesis. In closing, I want to mention one prevalent issue on the Internet between forgiveness and Alzheimers and that is the need for caretakers to forgive the patient and to forgive the self. When a person misbehaves, we so often focus only on the misbehavior and we want it stopped—now. Yet, when someone misbehaves there may be so much more to it than the undesirable behavior. Consider Jane’s story. At work she was not being productive, becoming passive toward some of the co-workers, and becoming sharply critical of others. Her unjust behavior was becoming a disruption. The manager was considering firing her. Someone in the Human Relations office decided, instead, to simply ask her: What is the recent story of your life, Jane? She started to cry because, quite frankly, no one had asked her to that point. As it turns out, her partner recently left her, her mother was suffering from dementia, and her son had a drinking problem. These are not an excuse to hurt others at work. Yet, without knowing her story, who at work could offer help? Knowing the story, the Human Relations person began a systematic forgiveness program for her, focused first on the partner’s injustice. It all started, and all began to fall into place, with one simple question: What is your story, Jane? The next time someone is annoying you, you might want to ask a similar question. Is Self-Forgiveness a Contradiction Unto Itself? Some say that self-forgiveness cannot exist because we cannot be our own judge and the defendant at the same time. At the same time, the critics of self-forgiveness do have a good point. We both are the victim and the offender. Therefore, we must do more in self-forgiveness than we do in forgiving others. If we have hurt others by our actions requiring self-forgiveness, then we need to go to those others and seek their forgiveness.